Our product range includes a wide range of table top sterilizer, crane scales, chemker vacuum pump, statistical mini glossmeter, bod incubator and chilled water circulator. 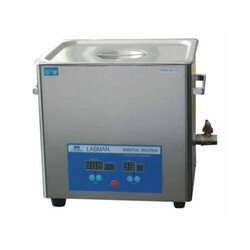 Being an Proclaimed manufacturers and Suppliers of Table Top Sterilizer with Drying in India since 1980. Our Table Top Sterilizer with Drying are mostly & widely used for everyday sterilization process methods in various Automated Pharmaceutical laboratories, Sophosticated Food Laboratories, Hitech Universities and for Research applications. We specialize in both standard, advanced, customized models with CE Marked, specifically designed to meet the challenging demands of various scientists / Research centers / individual and specialized research applications. Over a long period of time Multilab have been established as reliable Manufacturers, Exporters and Suppliers of Table Top Sterilizer with Drying in India, catering to the huge markets in Asia, Middle East,North America and South America, Australia, Africa and Europe. 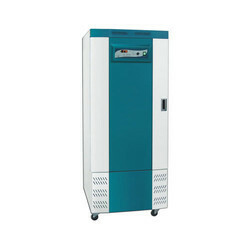 Apart from that we are supplying our Table Top Sterilizer with Drying in India through dealers , catering to a variety of customers ranging from Atomic energy, Biotechnology Companies, Microbiology Laboratory, Pharmaceutical Manufacturers, Defence Installations, Research Laboratories, Educational Institutes and various Research and Development laboratories of leading national and multinational companies. Sterilizing, exhaust of water and steam drying are fully automatic. Requires a sterilizing time of just 7 minutes at 134°C (instead of 20 minutes at 121°C). A totally hassle and tension free sterilizer which can even be kept inside an operation theatre. Table Top High Speed Sterilizers are ideal for all applications requiring rapid, reliable and total destruction of all living microorganisms. Ideal for Ophthalmic Surgeons, Dental Surgeons, Surgical Doctors, Polyclinics and Hospitals. Sterilizer Time: up to 99 minutes. Sterilizing Temperature: up to 134°C. Drying time: up to 99 minutes. Pt100 Sensor for precise monitoring. End cycle buzzer and auto reset. Industrial Grade energy efficient heater. Sensor open alarm and over temperature protection. Spring loaded safety valve for over pressure. Rocker is a diaphragm type and oil-free vacuum pump. It is compact, light, with all wettable parts of Teflon. 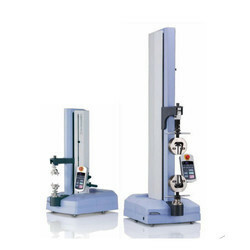 Chemker is suitable for Rotary Evaporators, Gel Drying and other laboratory vacuum applications. We specialize in the domain of providing Statistical Mini Glossmeter to our important clients. 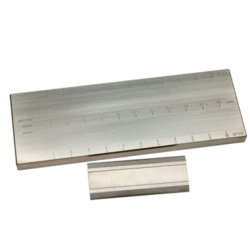 This product is used to sharpen different kinds of microtome knives up to the maximum length. Offered range is precisely manufactured using the optimum quality basic material in compliance with the set industry standards. Full traceability to National Standards, including BAM. We are manufacturers of BOD incubators in India. Our BOD incubators are widely used for everyday bacteriological and bio chemical oxygen demand (BOD) determination tests in various laboratory applications. We specialize in both standard and customized models with CE Marked, specifically designed to meet the challenging demands of various scientists for individual and specialized research applications. Apart from that we are supplying our BOD incubators in India through dealers , catering to a variety of customers ranging from Atomic energy, Biotechnology Companies, Microbiology Laboratory, Pharmaceutical Manufacturers, Defence Installations, Research Laboratories, Educational Institutes and various Research and Development laboratories of leading national and multinational companies. Ideal for preservation of vaccines, study of synthesizing organisms, life cycle testing, shelf life studies, general incubation, refrigerated storage, cell culture process of animals and plants, microorganisms cultivation and desalting process of enzyme extract in Biology, Botany Virology, Oceanography, water pollution, sewage, agriculture, food and research departments. Interior construction of stainless steel. Exterior construction of steel with heat cured epoxy coating. Shelves are of stainless steel (adjustable type). Double door with magnetic packing. High temperature safety inner glass door. Digital PID controller for Precision Temperature Control. Equipped with wait-off timer, high temp. alarm, auto-tuning and temperature calibration function. Round cornered chamber to protect contamination and easy to clean. Forced air circulation inside the chamber, to maintain optimum uniformity of temperature. Documenting options available on request. Our BOD Incubators are Manufactured as per CE guidelines. Our company holds immense experience in this domain and is involved in providing a superb quality assortment of Chilled Water Circulator to our customers. Offered product is extensively used in various pharmaceutical and food laboratories. 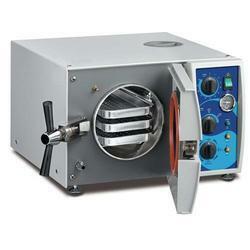 This Chilled Water Circulator is tested on numerous quality stages by quality inspectors. 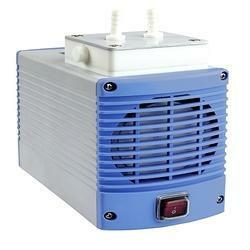 Being an Quality Concerned manufacturers and Exporters of Chilled Water Circulators in India since 1980. Our Chilled Water Circulators are mostly & widely used for everyday process methods in various Automated Pharmaceutical laboratories, Siphosticated Food Laboratories, Hitech Universities and for Research applications. We specialize in both standard, advanced, customized models with CE Marked, specifically designed to meet the challenging demands of various scientists / Research centers / individual and specialized research applications. Over a long period of time Multilab have been established as reliable Manufacturers, Exporters and Suppliers of Chilled Water Circulators in India, catering to the huge markets in Asia, Middle East, North America and South America, Australia, Africa and Europe. Apart from that we are supplying our Table Top Stainless Steel Water Stills & Stone Fin Water Stills in India through dealers , catering to a variety of customers ranging from Atomic energy, Biotechnology Companies, Microbiology Laboratory, Pharmaceutical Manufacturers, Defence Installations, Research Laboratories, Clinical Microbiology/Pathology/Biochemistry Laboratories, Educational Institutes and research laboratories, development laboratories, and test laboratories of leading national and multinational companies. Being an Precision supplier of Digital Colony Counter. Our Digital Colony Counters are mostly & widely used for everyday process methods in various Automated Pharmaceutical laboratories, Sophosticated Food Laboratories, Hitech Universities and for Research applications. We specialize in both standard, advanced, customized models with CE Marked, specifically designed to meet the challenging demands of various scientists / Research centers / individual and specialized research applications. Apart from that we are supplying ourTable Top Stainless Steel Water Stills & Stone Fin Water Stills in India through dealers , catering to a variety of customers ranging from Atomic energy, Biotechnology Companies, Microbiology Laboratory, Pharmaceutical Manufacturers, Defence Installations, Research Laboratories, Clinical Microbiology/Pathology/Biochemistry Laboratories, Educational Institutes and research laboratories, development laboratories, and test laboratories of leading national and multinational companies. Circular tube and powerful magnifying lens - reduces operator fatigue. 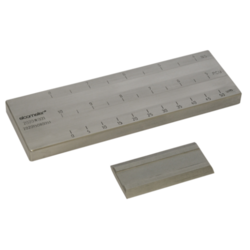 Streamlined design ensures fast and accurate count. 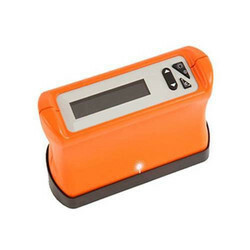 Digital Colony Counter is ideal for fast and fatigue free counting of Bacterial Colonies. Re-designed model with advanced sensors enables usage of any commercially available hard tipped marker pen. LED Display with audio beep at every count. On marking the colony by applying a slight pressure with the marker pen, a count is registered and confirmed by an audio beep. Manual count switch for counting without “Marker Pen”. 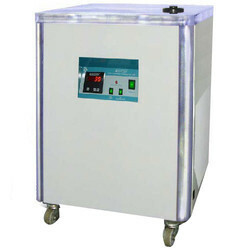 Our company is the foremost for offering Ultrasonic Water Bath to the clients. 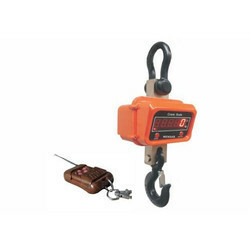 This product is quite high in demand among clients for its quality and excellent efficiency. Offered range is manufactured using optimum quality materials and advanced techniques that ensure robust structure and resistivity to adverse conditions. Rugged construction, Extremely smooth piston movement, Autoclavable Tip Ejector and Tip Holder, Easy to maintain. Individual factory calibration certificate with each FIXAPETTE. PROJECTS - User can collect colours under one title. Data can be uploaded and/or downloaded via patented, bi-directional communication link to computer software. Our company is among the most sought after offering Hexagonal Wet Film Comb to the clients. Offered range is manufactured by our professionals in obedience to the quality standards using the best quality raw material and ultra modern technology under the guidance of experts. This product is checked on different parameters to ensure flawlessness. 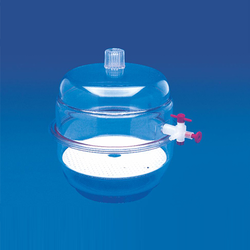 A strong moulded and transparent jar, makes it ideal for critical tests requiring visual in process monitoring. 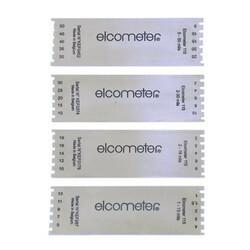 A compound gauge (manometer) eliminates guesswork in monitoring cycle process. 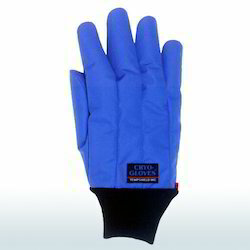 These water proof gloves are comfortable when working in cryogenic atmosphere for extended periods and protect from splashes of liquid nitrogen. LN2 atmospheres and environment, Refrigerated Liquids Bath, Cryo Freezers, Cryogenic Grinding. 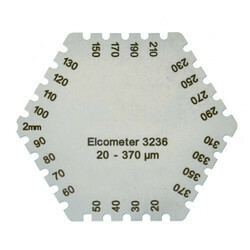 This precision grindometer is used to determine particle size and the fineness of grind of particles in printing inks according to the National Printing Inks Research Institute (NPIRI) scale. A tiny microcentrifuge, ideal for short spins. Quiet and reliable, small foot print. Fixed speed of 6000 rpm / 2000 g.
Cat: 1000. SPINWIN - Microcentrifuge - 2 places rotor for 6x200ul tube strips. Cat: 1010. 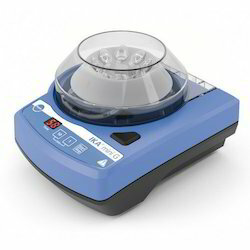 SPINWIN - Microcentrifuge - 6 places rotor for 1.5ml tubes. An extremely sturdy and reliable unit - ideal for extended use in research and clinical labs. 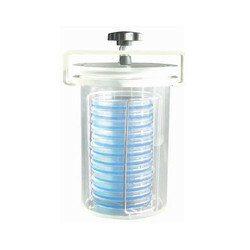 With 3 attachments for shaking tubes, flasks microcentrifuge tubes. With speed regulator switch for constant on touch on. 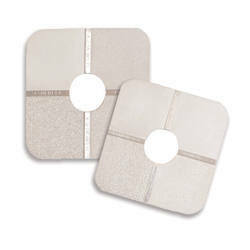 Heavy metal base rubber feet prevents movement of the shaker during use. Cat#: 3020. SPINIX - Vortex Shaker. Cat#: 3001. SPINIX - Vortex Shaker - Spare Cup Attachment. Cat#: 3002. SPINIX - Vortex Shaker - Spare One Hand Attachment. Cat#: 3003. SPINIX - Vortex Shaker - Spare One Hand Insert. Cat#: 3004. SPINIX - Vortex Shaker - Spare Micro tube Insert. Another new introduction from Tarsons. Easy to use, with recirculating valve for easy priming. 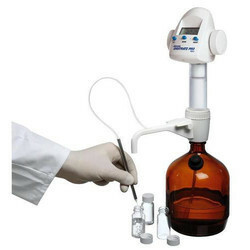 The Digital Burette has a recirculating valve and double piston pump for permanent and pulse free dispensing technique which allows the desired volume to be dispensed continuously thus eliminating the need for new liquid aspiration each time. The medium is dispensed by simply rotating the wheels with a dispensing rate of 2,500 ul per rotation. The 360° rotatable discharge tube can be horizontally set from 142-200mm and vertically from 210-370mm. 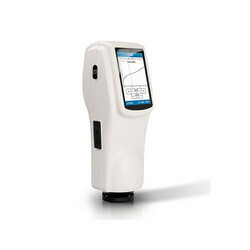 We are dedicatedly involved in providing a wide array of Shimadzu Texture Analyzers. Provides mixing for diffusion, dialysing, extraction, etc. Angle of rotation adjustable from horizontal for minimal mixing to vertical for full end over end mixing. 3 rotating disks are available (to be ordered separately). Cat: 3070. 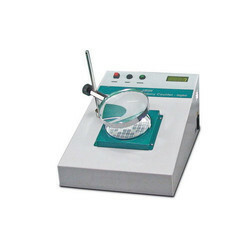 Rotospin Test Tube Rotator. Cat: 3071. Disk for 24x1.5ml tube. Cat: 3072. Disk for 18x15ml tube. Cat: 3073. Disk for 18x50ml tube. Bottom and top made of clear polycarbonate - for clear view of the contents. With white perforated plate inside. Removable 3-way Teflon stopcock. Silicon rubber 'O' ring fitted on rim for perfect sealing. 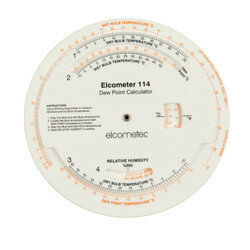 We are offering Surface Comparator Elcometer to our client.